Rajinikanth Film Review From Mullum Malarum. Mullum Malarum Movie. Rajini Film Mullum Malarum. Rajinikanth Mullum Malarum movie. www.rajinikanth.com. Rajni is the doting brother of sister Shobha. He runs into frequent problems with supervisor Sarath Babu because of his nature. Rajni loses his hand in an accident and Sarath fires him from his job. Things come to a head when Sarath expresses his wish to marry Shobha. Rajni refuses outright and even fixes her marriage to someone else. The whole village, including Rajni's wife, decided to conduct the marriage of Sarath and Shobha. But in the end, a brother's affection wins as Shobha rushes back from the group and decided to act as per Rajni's wishes. Rajni himself then offers her hand in marriage to Sarath. Rajni and Shobha create another beautiful example of brother-sister affection after Sivaji and Savithri in Paasamalar. 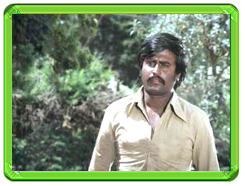 Rajni plays the hero to perfection bring out both his love for his sister and his hatred towards his supervisor. His uninhibited dancing for Raaman Aandalum... is a treat to watch. Shobha is great as his timid sister. Ilaiyaraja comes up with another amazing soundtrack teaming up with Balu Mahendra's superb photography for the gem, Sendhaazhampoovil.